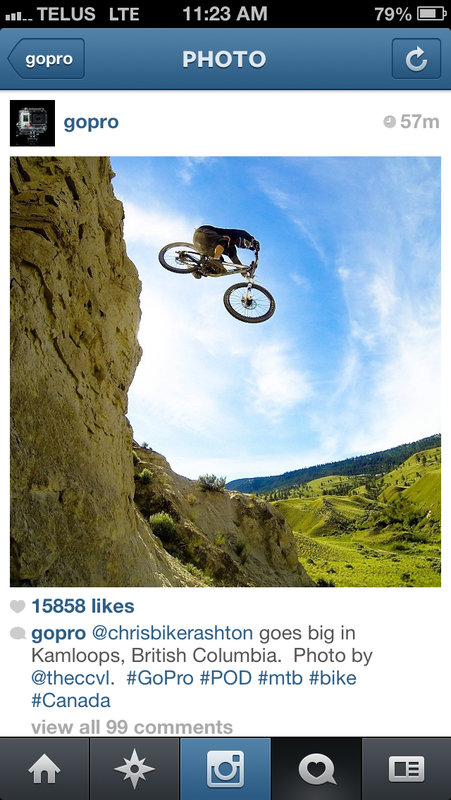 Cool tidbit of the day: One of local rider @theccvl&apos;s instagram images caught the attention of GoPro! The image was featured on their account this morning and within an hour - already had more than 15K likes. Go Kamloops!